The Italian tuner and small time auto manufacturer Siata (Societa Italiana Auto Trasformazioni Accessori) built a handful of cars using Fiat mechanical parts and retro styling. The early cars were sweet looking mini Ferrari clones such as the S-208 that Steve McQueen owned and drove, but the later Spring (1967-1975) was a wacky looking 2-seater that is still affordable. 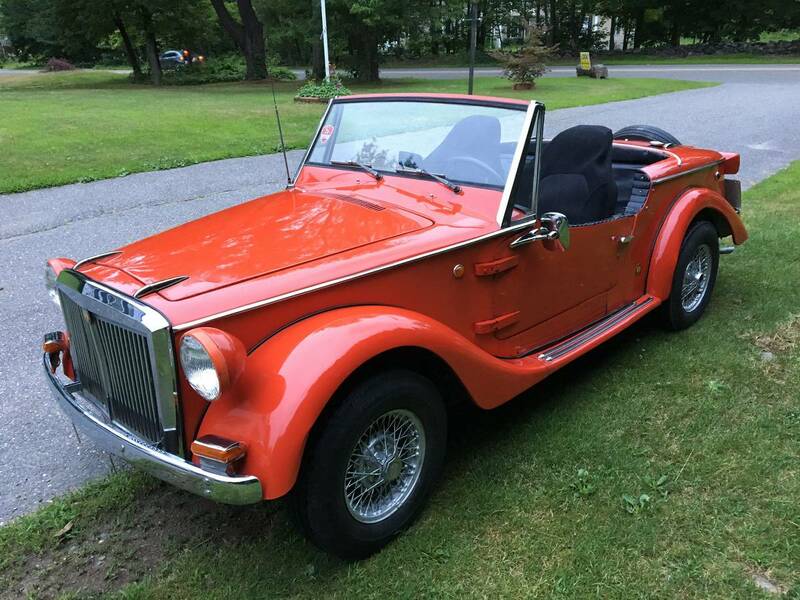 Find this 1970 Siata Spring offered for $5000 in Shirley, MA via craigslist. Tip from The Hack Mechanic. Siata spring convertible runs and drives . 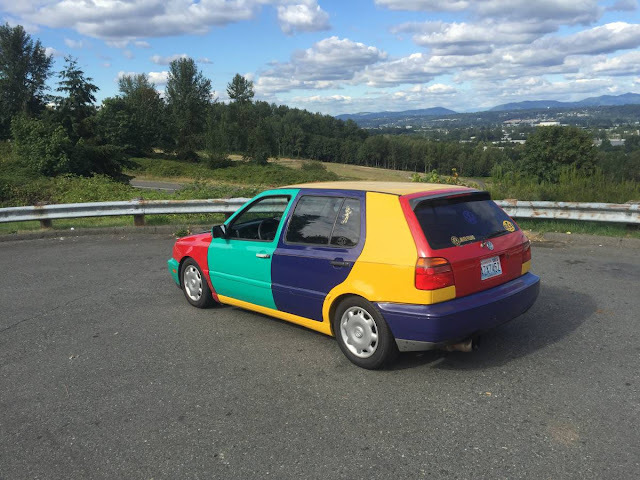 This is not a kit car. Siata is an Italian design car,built on a fiat chassis. New brakes,and I got it running ,barn find car sat for 38 yrs. Very first thought - It's a Turducken! Rolls Royce-ish grille? Check. MG body? Check. Tail lights stolen off a 40 ft RV? CHECK! 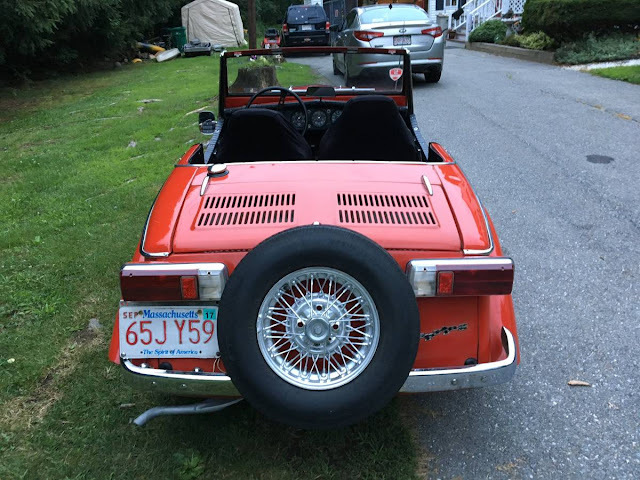 Take off the gonzo tail lights, horrible rear tire mount, and the fakey Rolls hood and you've got something that looks like a VW Beetle--- with the reliability of a Fiat! Cheapest way to enter your local Italian Car Fest show. Now we know that it IS possible to make a really ugly Fiat even uglier! "Tip from The Hack Mechanic" - oh wow, I did not realize that Rob Siegel was part of the DT community! Love his writing. So reflective of the true experience of guys working in their garages. If you have not read Memoirs of a hack mechanic I recommend that you do so. Regarding those tail lights, how do you say "afterthought" in Spanish? I think the tail lights are US federalized only.